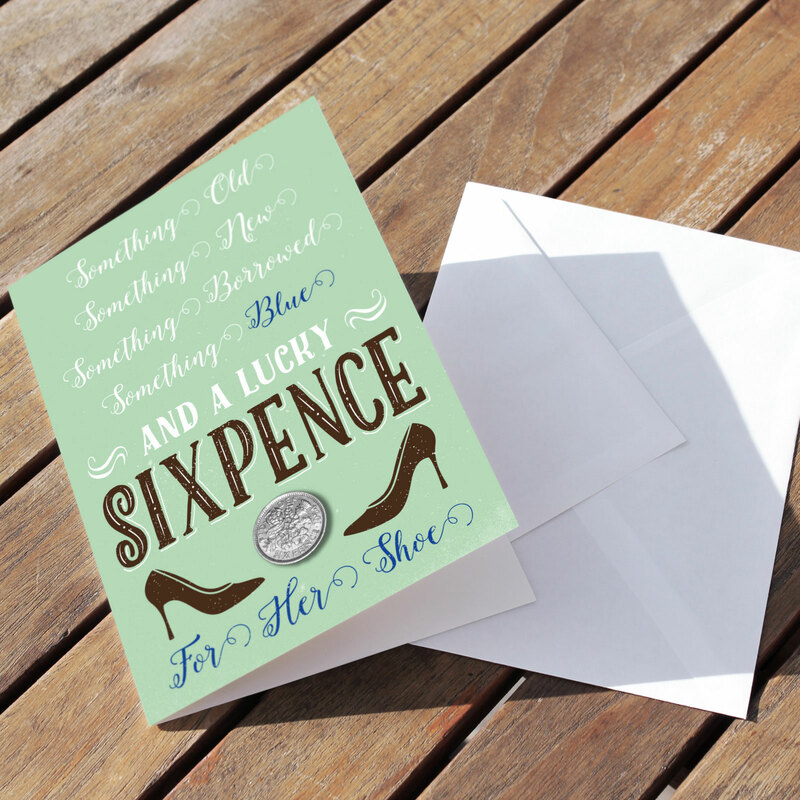 Celebration Tiffany Blue - Lucky Sixpence Card | Feel The Magic Ltd.
A fantastic little keepsake for the Bride, based on our ‘Celebration’ design and featuring the traditional ‘Something Old, Something New’ rhyme on the front in a contemporary freehand script, with a brief verse printed inside giving some history and background to the ‘Lucky Sixpence’ bridal tradition. 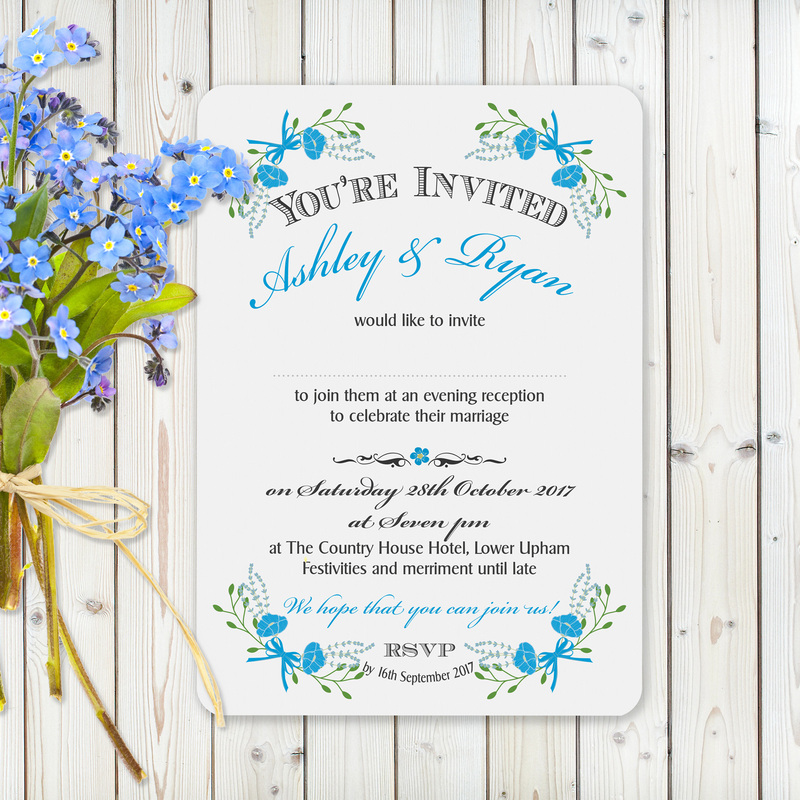 Available in a wide range of colours and card finishes to suit any theme and to match the other wedding stationary in this collection. 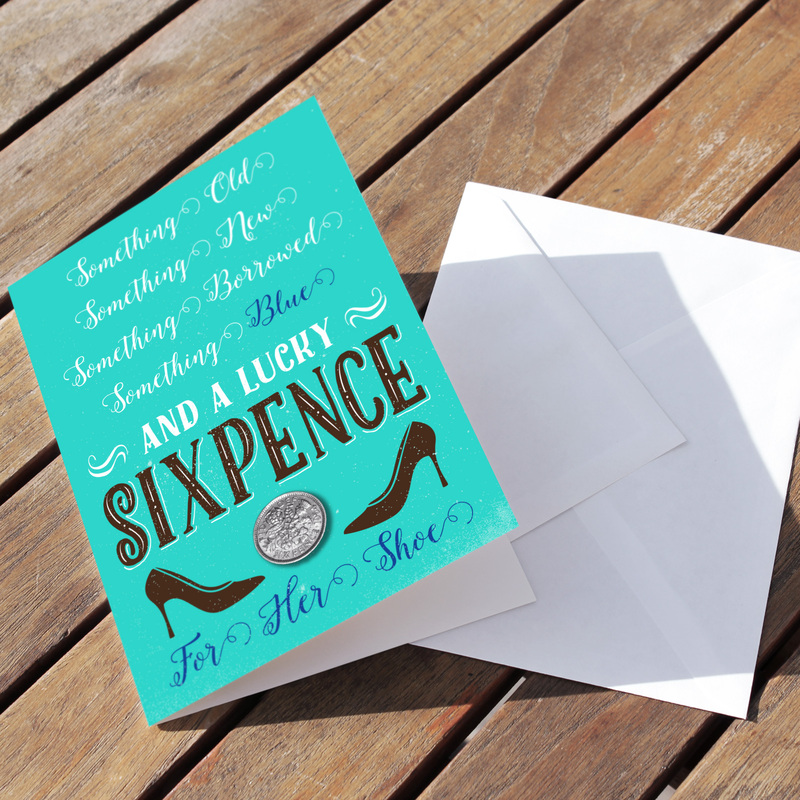 Digitally printed on our 300 gsm ProDesign card we then hand fix a lucky sixpence coin to the front of the card for the bride to remove – the card is left blank on the inside for you to write your own message. 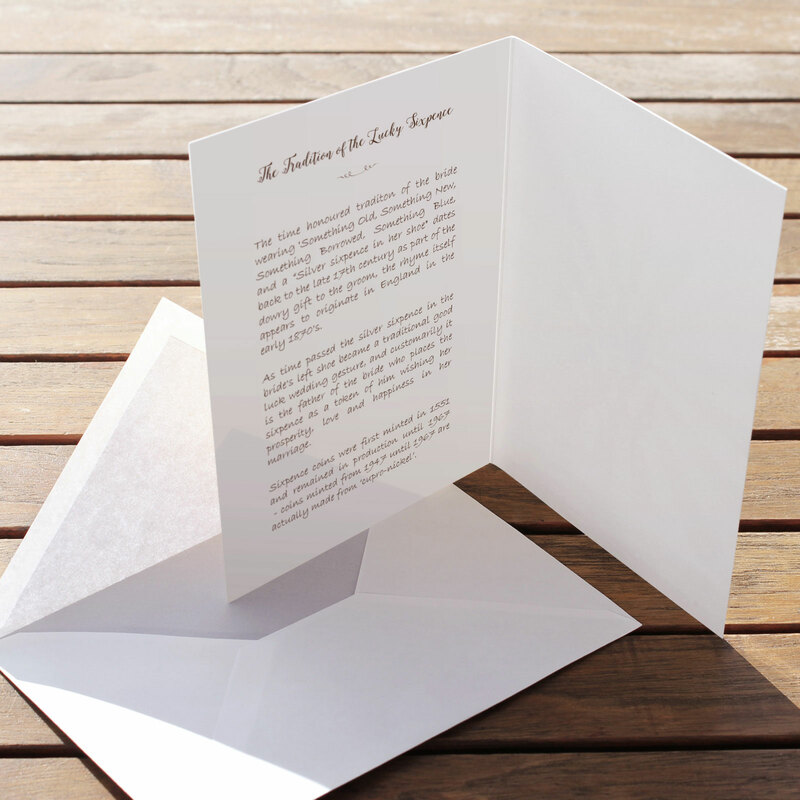 This single-fold card is is a generous A6 size when finished (105mm wide x 148mm) and is supplied complete with a good quality White invitation envelope. 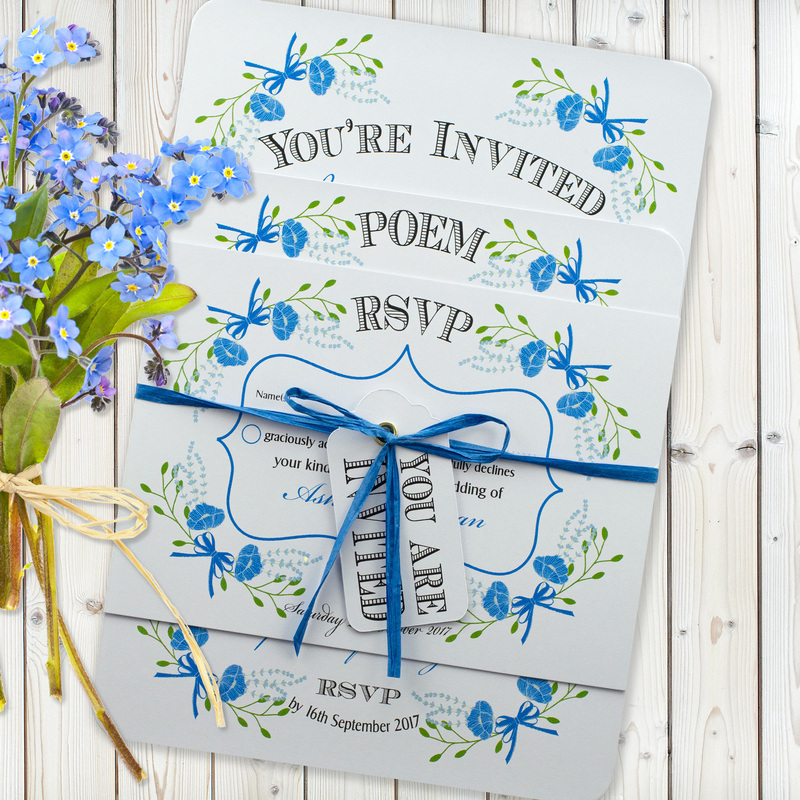 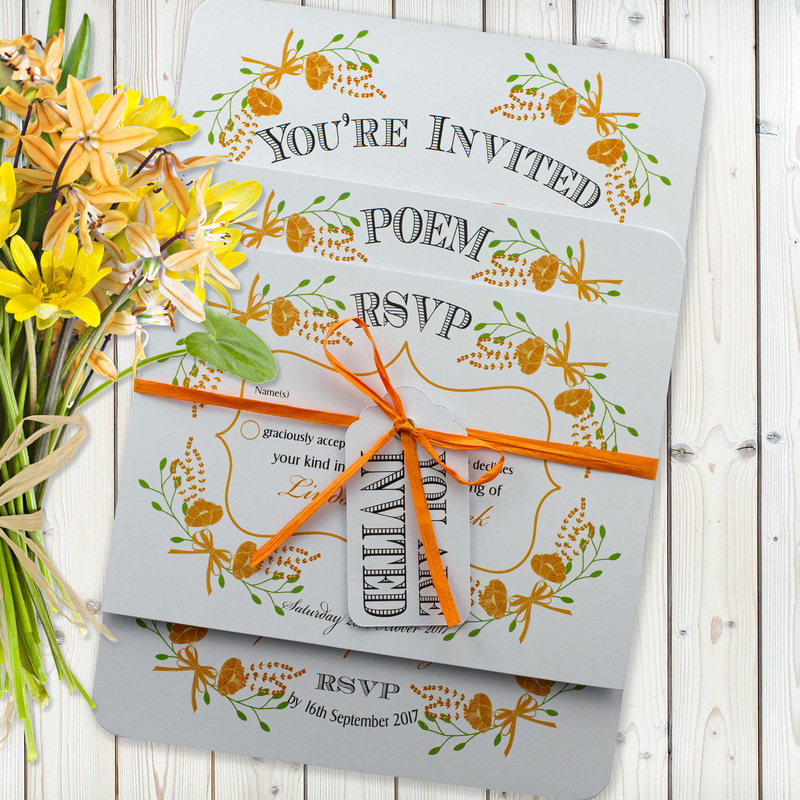 This is an ideal gift addition to our range of bespoke personalised wedding invitations, favours and gifts.